This might be the most Canadian Tim Hortons set-up anywhere, ever. The iconic coffee and donut establishment (turned sandwich and waffle breakfast sandwich hub) just unveiled their new downtown Toronto head office. 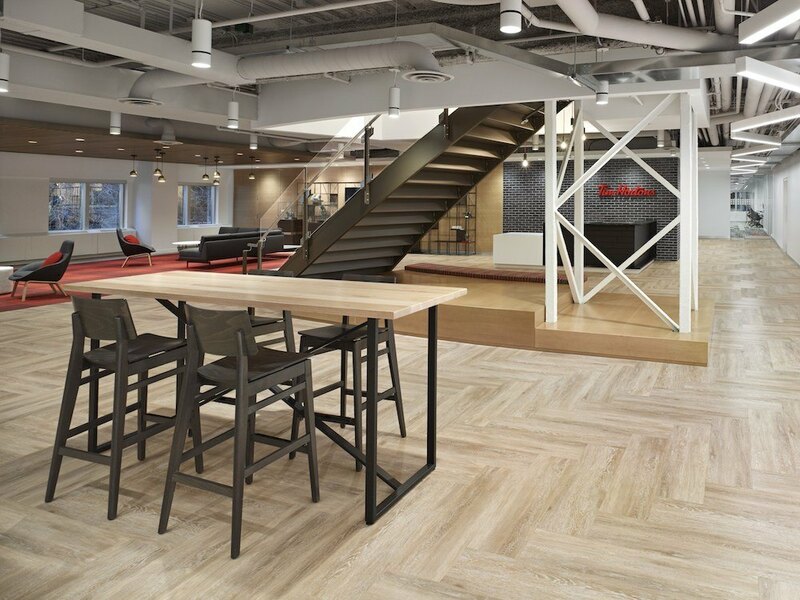 “We wanted our new head office design to be a celebration of the brand and coffee culture and a welcoming place that brings people together,” says Alex Macedo, President of Tim Hortons, in a release. “We chose the heart of Toronto because it will help attract the next generation of talented Tim Hortons employees and ultimately fuel our growth,” he says. Now located in Toronto’s historic Exchange Tower at 130 King Street West, the 65,000-sq. 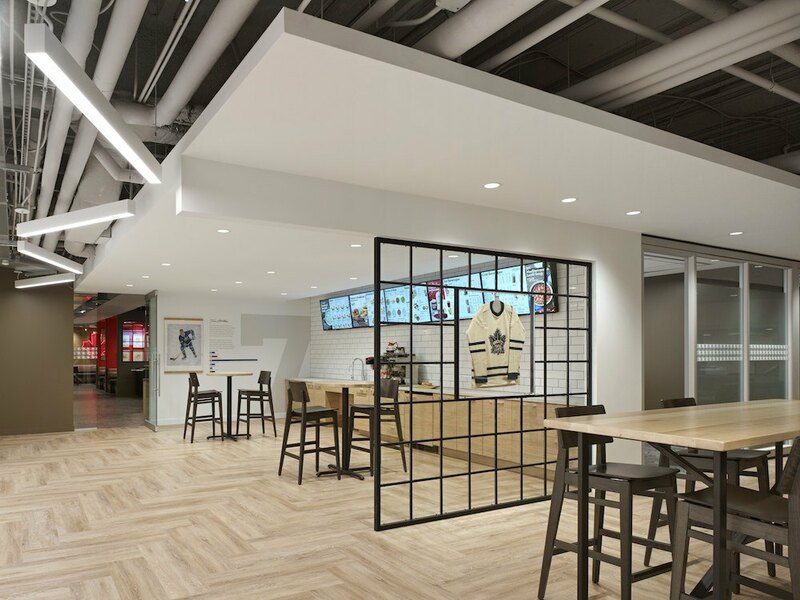 ft. space was designed to celebrate Tim Hortons’ Canadian roots. 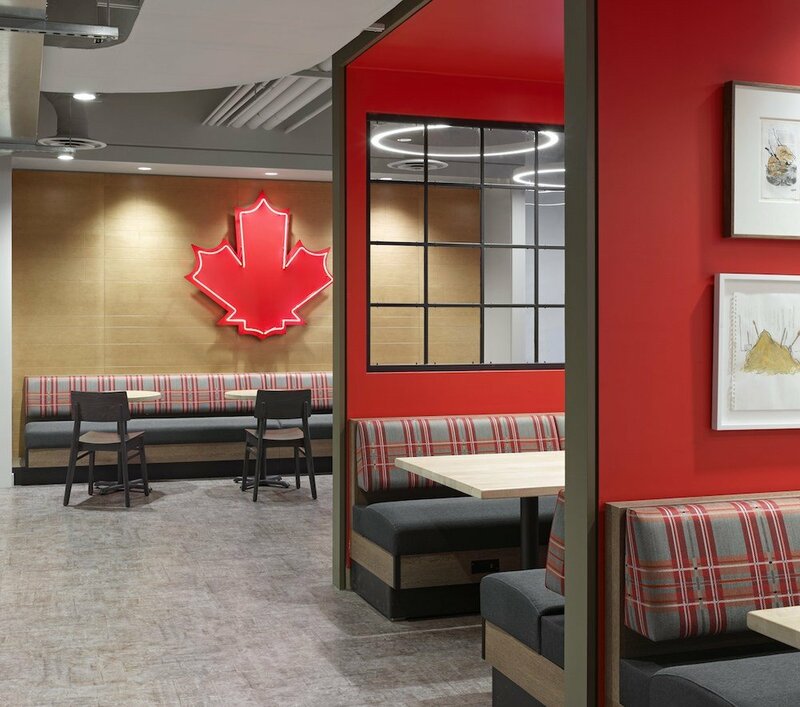 From hockey jerseys as decor to bright red walls and a big glowing maple leaf, the space screams True North Strong and Free. 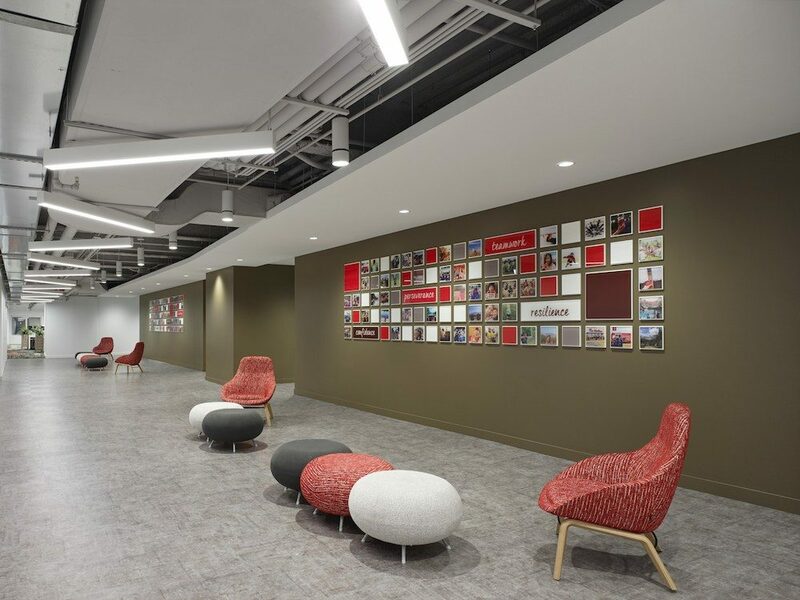 Located on the old TSX trading floor, the two-level open concept office features collaborative meeting spaces, over 20 coffee and tea brewing stations, a state-of-the-art test kitchen, a large staff café, public work zones, and an outdoor terrace. 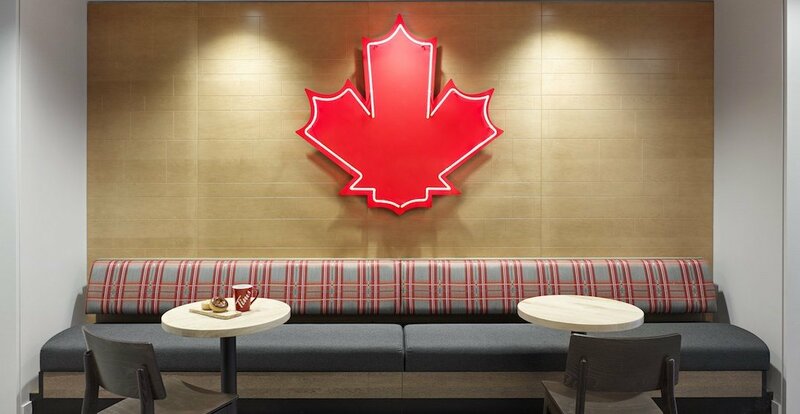 The office is decorated with imagery of original Tim Hortons coffee shops and of Tim Horton himself to remind everyone of the brand’s origins. It also features Canadian Maple panelling and tons of natural light, and on the private outdoor patio, you’ll find Muskoka chairs – obviously. Looks pretty nice, eh? So nice you might have to do a double-double take just to catch it all (sorry, we had to).